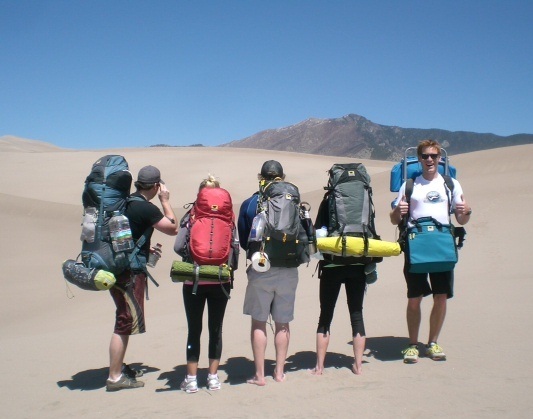 The crew from Denver embarks on their hike at Colorado’s Great Sand Dunes National Park. 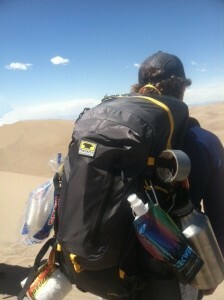 Josh’s pack of choice, the Ghost 50, carries all of the essentials. In this case, that includes a pitcher of margaritas for a proper Cinco de Mayo celebration. 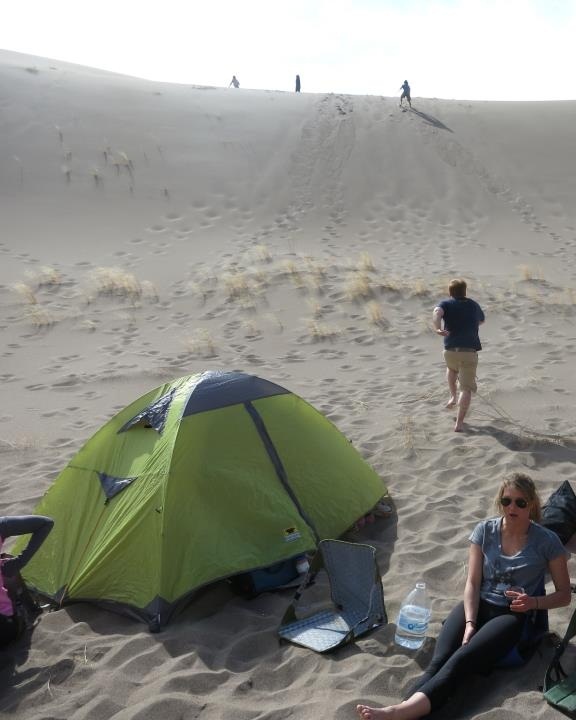 On May 4th 2013, 12 friends from Denver headed south on a journey to southern Colorado’s Great Sand Dunes National Park. Armed with Mountainsmith packs, coolers, tents, and sleeping bags we started our journey up the face of the first dune, frankly not having a clue what we would be getting into. During the initial hike in I was equipped with the Ghost 50 loaded down with 60+ pounds of food, premade margarita’s (Cindo de Mayo after all), and essential gear. The load was not an issue as the pack was easy to adjust and fit perfectly. A female friend was also heavily loaded in her Juniper 55, but experienced zero discomfort, and led the group to the elusive deep hole where we would be clear from the wind. 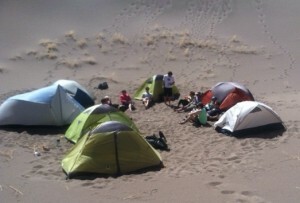 Tents at a glance on the dunes, with the apparent tent of choice being the Mountainsmith Morrison 2. More than half of the group trusted their Morrison tents, which were setup with little issue compared to other comrades with more cumbersome set-ups. The wind was gnarly, but the otherworldly views made this a moot point. When the wind became too invasive, ducking into the Morrison’s to enjoy some libations took place. The ample room within the Morrison allowed us to comfortably evade the wind. 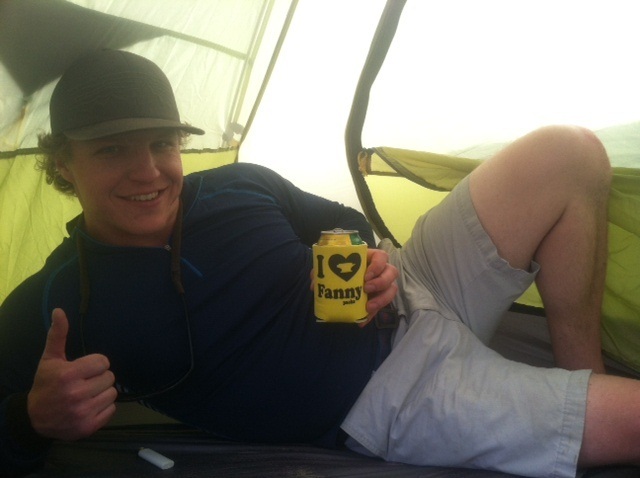 Josh seeks shelter from the windstorm, and takes the opportunity to enjoy a cold one in his Mountainsmith coozy. 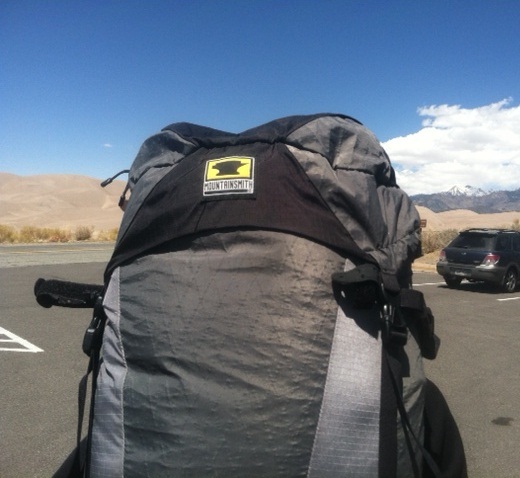 Thanks to the great team at Mountainsmith for making amazing gear at great prices. We hiked comfortably in our Ghost 50’s, Juniper 55, slept comfortably in our Morrison tents and Mountainsmith sleeping bags, and enjoyed cool beverages thanks to the Deluxe Cooler Cube. “Combing the desert! Find anything yet? !” Sorry, we had to make a Spaceballs reference, they were hiking on Star Wars Day(May the 4th) after all. 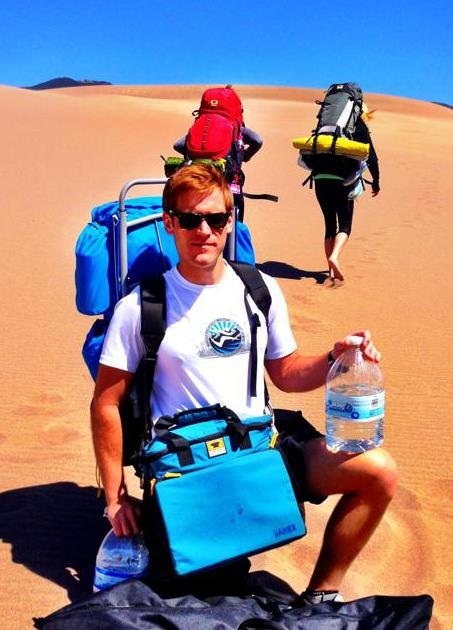 When you plan your trip to the Sand Dunes, remember to bring the Deluxe Cooler Cube from Mountainsmith! 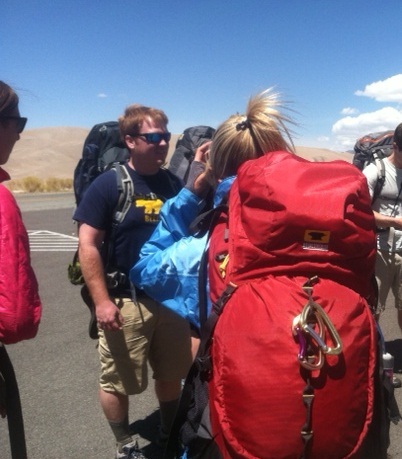 One of the ladies in the crew carried the Juniper 55 backpack, engineered specifically for women. Looks like an amazing trip. Looks like you put the gear to the test and past! Awesome!